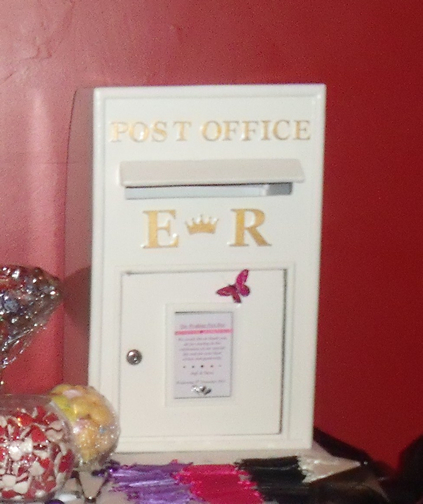 These custom made Wedding Post Boxes and Wishing Well are for the safe keeping of cards from well wishers at your wedding. They all are lockable which ensures that important cards containing monies & vouchers do not get misplaced. 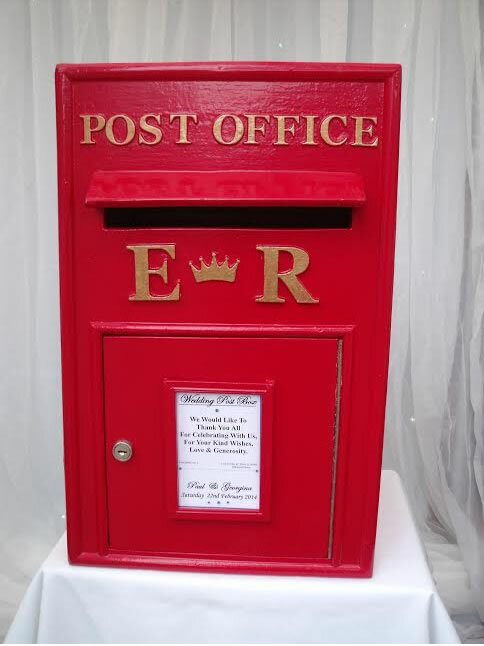 Our life size solid Wedding Post Boxes are so elegant that do not need any decoration, although they can be embellish with your own colour scheme or theme. Have your own personal message printed for the insert on the front for your guests to read as they post their cards and gifts into it. 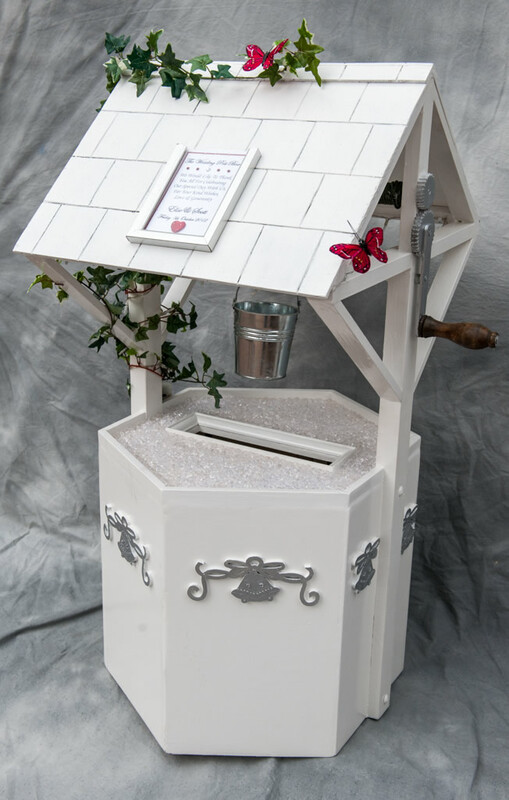 This pretty Wedding Wishing Well would compliment any wedding decor it is both solid and safe, with it's twinkling lights that reflect on the crystal 'water' and decorative ivy 'growing' to one side. 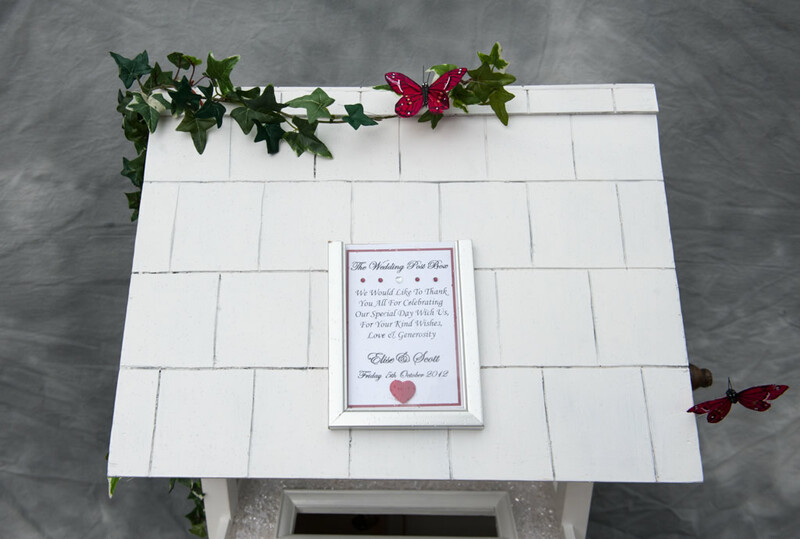 Your personal message is printed for you and displayed in the insert on the roof. 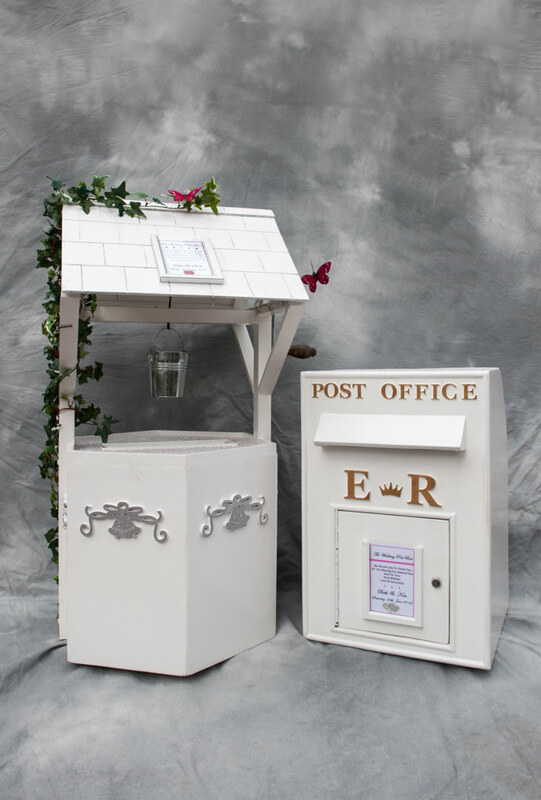 A new addition to our collection is our Edwardian style Post Box which stands over a metre high again your message can be placed on the front.